Fulvic shale is formed over the course of millions of years. As plants grew, died and became preserved in today’s deposit areas, their organic content became more and more compressed into the earth. This formed layers of shale that are rich in mineral content and contained the moisture of the preserved, prehistoric plant materials. The deposits continued to compress as mud, sand and rocks were piled on top of the fulvic shale. Today, these shale deposits have been found in regions that once featured thick, lush forests and plant life. Though this type of plant life may no longer exist there, the fulvic shale remains, still containing the abundance of minerals and trace elements that are vital to a human diet. In the areas with fulvic shale deposits, the soil is also richer in minerals and trace elements. As opposed to the average of 30 minerals and trace elements found in a typical soil sample, these locations boast over 77 trace minerals and elements which produce extremely nutritious crops for human consumption. This varies greatly from the soil which used to exist on Earth and produced the plants that now are incorporated into fulvic shale deposits. Millions of years ago, all the Earth’s soil was rich in minerals and trace elements needed for survival. Today, we can obtain this same type of nutrition through fulvic shale deposits. Many people wonder how the plant materials in fulvic shale deposits became so rich in minerals and trace elements. In fact, it was photosynthesis that enriched these materials with the nutritious elements we need. 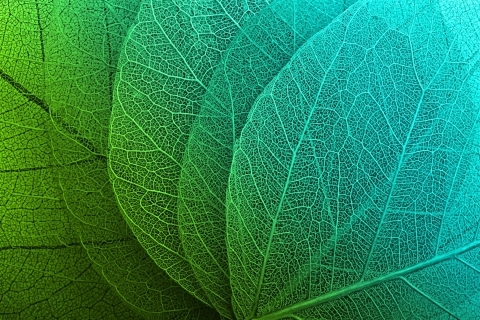 Photosynthesis is a biochemical process which converts the sun’s energy into a chemical energy. As sunlight is absorbed by a plant, the energy is used to form organic materials like nitrogen, water, oxygen and minerals. The energy is also used to convert metallic minerals to organic molecules which can be used by the body for nutrition. Once the minerals have been formed through photosynthesis, they travel through the folial membranes to become available for ingestion. Meanwhile, microorganisms in the surrounding soil prepare inorganic minerals to be absorbed by the plant. Once the microorganisms convert the minerals to a lower molecular weight, they can be assimilated into the plant more easily. This creates a plant which is rich in fulvic acid, minerals and trace elements. These plants eventually decayed and became a part of fulvic shale deposits. Today, we have the technology to use water to extract the fulvic acid from the shale deposits. Using the fulvic colloid resulting from the extraction process, a mineral supplement can be formed that is suitable for human ingestion. These supplements are a rich source of minerals and trace elements which fulfill our nutritional requirements, creating a happier, healthier lifestyle.